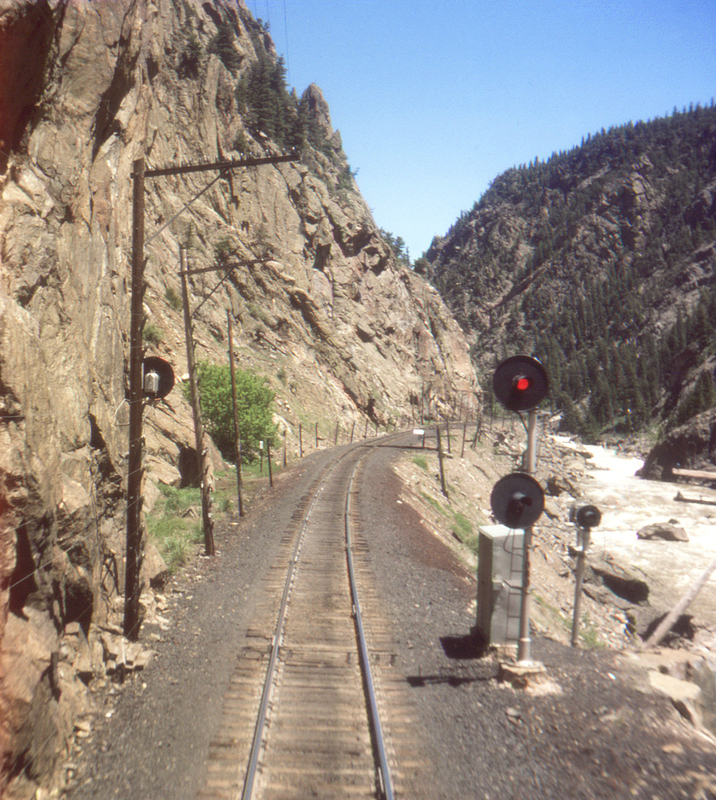 When it comes to scenery, words become inadequate to describe Gore Canyon, located on the Denver & Rio Grande Western's Moffat Tunnel line between Kremmling and Radium, Colorado. Unlike most of the Colorado River canyons in Colorado, this one is so narrow and steep that only the railroad traverses itconstruction of a highway would have been prohibitively expensive. Here seen from the rear of Amtrak's westbound combined California Zephyr/Pioneer/Desert Wind is one of the more inaccessible parts of the canyon. It does see a certain amount of rafting traffic, however.